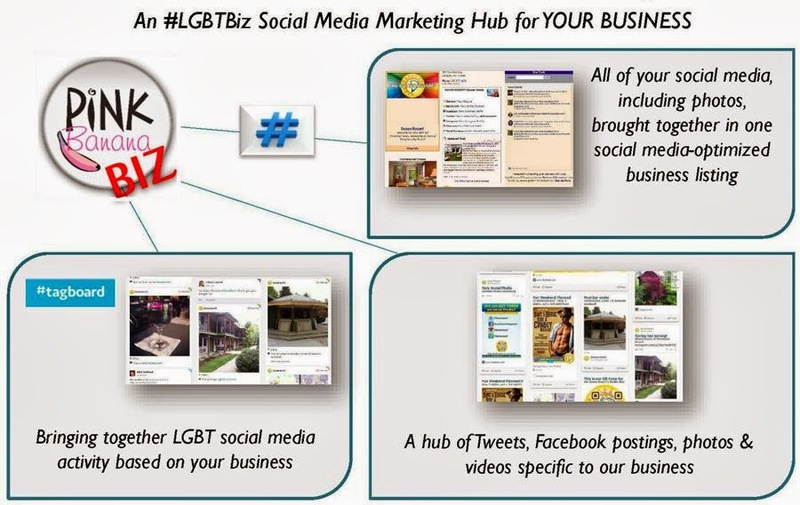 With our beta testing now over on our Social Media-Enhanced Business Directory / Social Media Hubs for LGBT Business, we're excited to make it as easy as possible to present this offer to every business seeking to reach the LGBT online community. Follow the steps below to create your business listing reaching thousands of LGBT consumers and fellow business owners using some of the latest social media marketing techniques in use today, including #hashtag marketing. 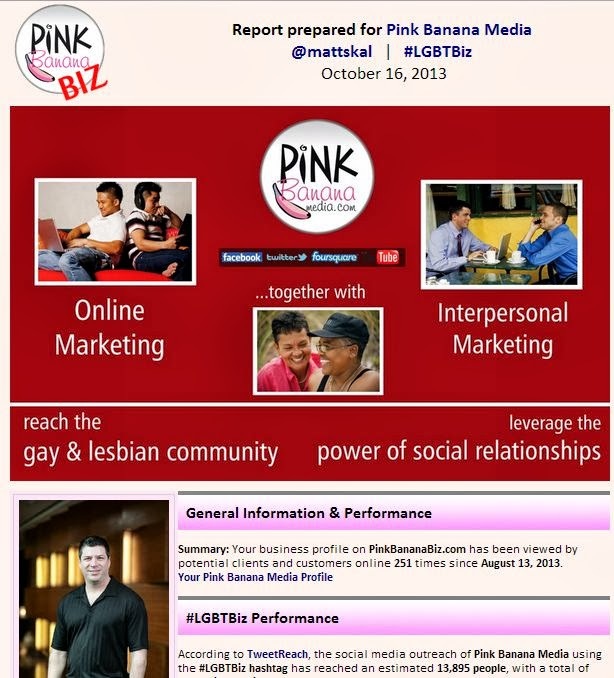 The cost is simply $195 per month for a business profile designed to both bring you more LGBT business and to focus and enhance your LGBT social media outreach. 2. With your profile now created, be sure to include a photo and tell us more about your own social media outreach. 3. 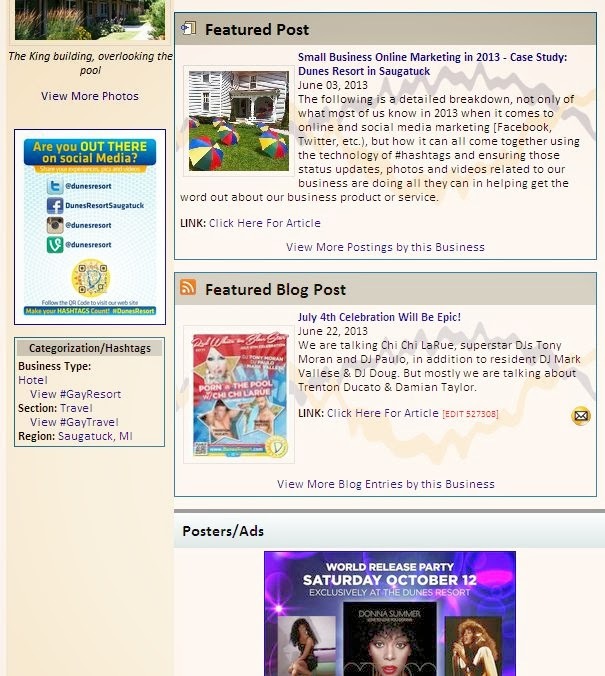 Next, while logged on, go to the Business Directory page and click on "Add New Business Listing"
From this business listing, be sure to fill out the social media portion completely, letting our audience know how to find you on Facebook, Twitter, Google Plus, LinkedIn and more. If you're using photos and imagery in your marketing outreach, be sure to let us know what your Instagram profile is, as this has become one of the top social media marketing outreach sites for photos, especially when you're also using #hashtag marketing in your business outreach as well. 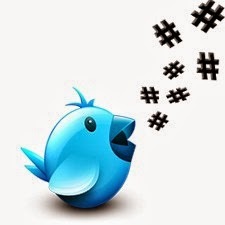 Speaking of #hashtags, be sure to include the #hashtag you'd like for us to promote and track in your profile as well. For more information on the selection of a #hashtag, read our friend Meilani McDonald's blog post Why Hashtags Are Awesome, found here: http://meilanimacdonald.com/business-blog/why-hashtags-are-awesome/. We'll be providing you feedback on your own #hashtag selection, as well as the LGBT hashtags we have found best represent your busienss category, such as #LGBTBiz for the gay & lesbian business community, #GayMiami, #GayTravel, etc. 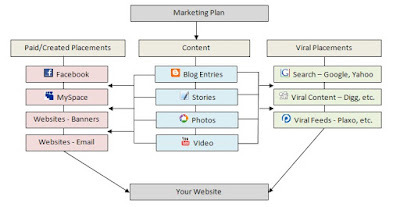 Is content marketing a part of your company's social media outreach? If so, be sure to let us know where your content is being spread far and wide, whether that's a Google Blogger profile, a Tumblr blog or any other location where your content is being distributed via its RSS feed. This step is very important, as it not only allows your profile to be maximized for content distribution... it also allows our site editors to feature your content from our network of sites as well, where we currently reach over 200,000+ visitors per month and growing. With all of this information in place, the last step would be to set up a RebelMouse.com profile... this profile allows you to have a single, tile-displayed social media summary of all of your activity on Facebook, Twitter, Instagram, Vine and more, and allows this display to be featured from your Pink Banana Media profile as well. It will allow both you and your online audience to see in one succinct screen display exactly what you're up to and what message you're currently broadcasting via social media. 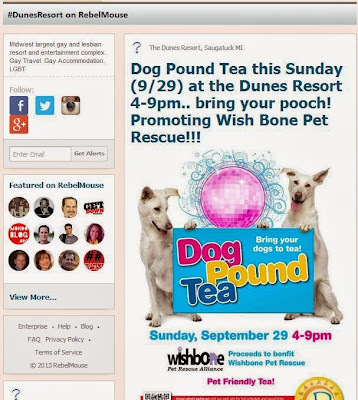 Some of the top companies maximizing their social media outreach today use this site and its technology, and we've integrated it into the Pink Banana Media network of site business profiles as well. We look forward to becoming your LGBT marketing partner as we enter 2014, providing you one of the best methods in reaching LGBT consumers and businesses via social media today. Thanks ! for sharing this wonderful news with us.I really like your post as it is informative as well as interesting.